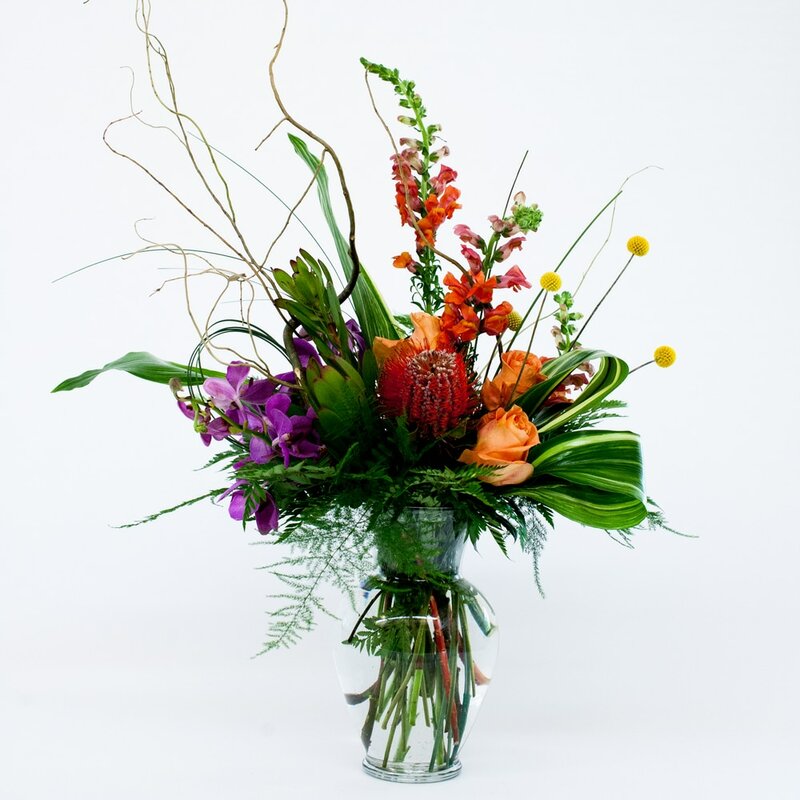 A classic design using the season's most tropical and colorful flowers. 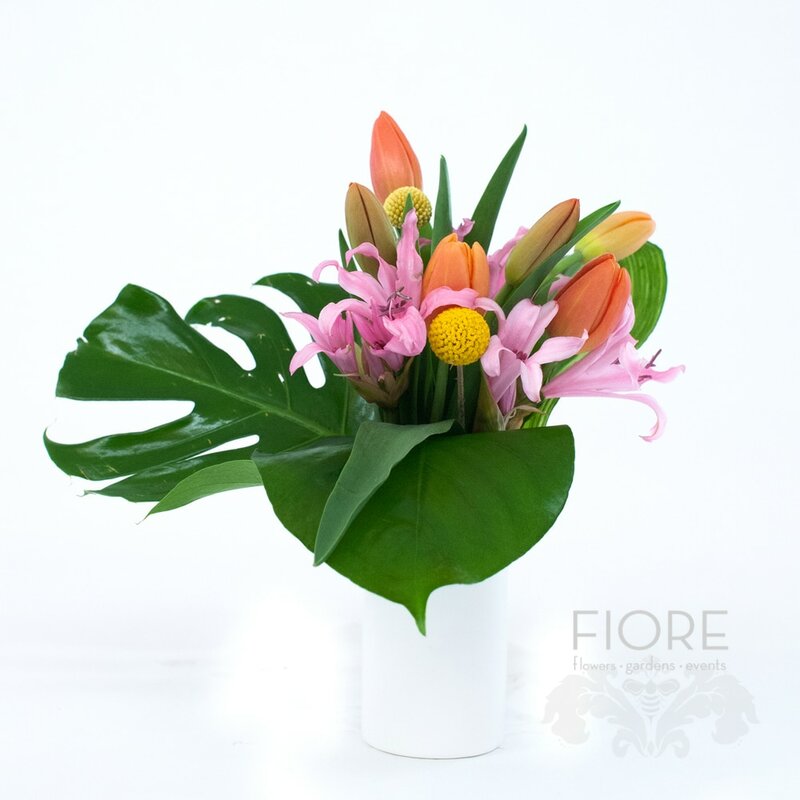 Tropical flowers range from Birds of Paradise and Protea, to snap dragons and vibrant colored roses. Greenery is used to give the arrangement a modern flair.